Where to Buy Trimmit PGR, Trimmit 2SC PGR Piccolo for Turfgrass - 1 - 2.5 Gal - $529.95 for Sale with Fast Free Shipping! 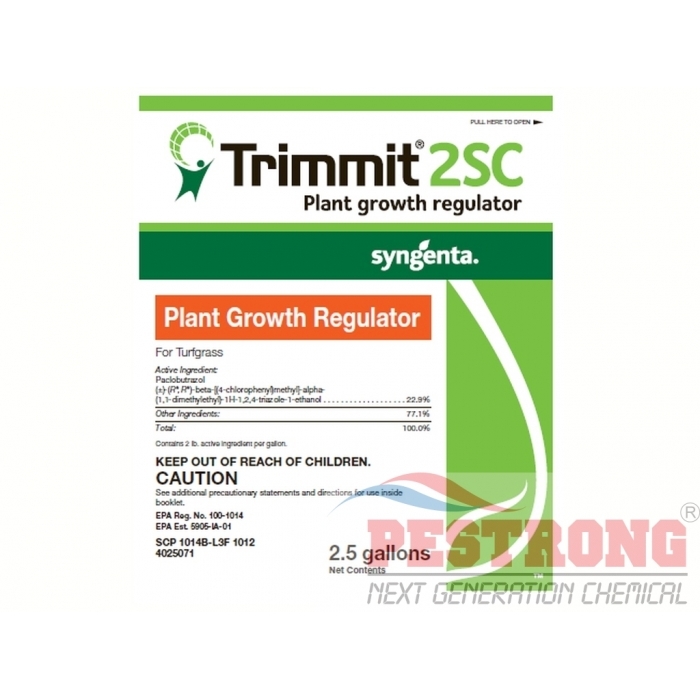 Trimmit 2SC PGR Piccolo for Turfgrass - 1 - 2.5 Gal is a plant growth regulator for turfgrass that solws grass growth for up to two months after application. By buying this product & leave product review you can collect normally 120 reward points as a voucher of $12.00(1%). Trimmit 2SC suppresses Poa annua in bermudagrass, bentgrass and perennial ryegrass greens, fairways and tees, while enhancing overall turf quality. Additionally, clippings and the frequency of mowing can be reduced by up to 50% during the period of effective retardation. Not for use on residential, tree, ornamentals, just use on commercial turfgrass only. For ornamentals and tree, use piccolo 10xc pgr - Qt. One of the most effective products at controlling poa annua. It works quite fast and it really slows down the growth of poa annua. Its effectiveness is top notch.